The Philippines is one of the largest archipelagos in the world. Its coastline is irregular and longer than the coastline of the United States. This unique geographic characteristic exerted a strong influence on the socio-economic life of primitive and early settlements as well as later communities in the Philippines. Trading posts were established along the coastal areas. Today, some of these trading posts like Manila and Cebu have become major urban areas in the Philippines. The coastal areas and freshwater lakes and rivers are rich sources of fishes. Approximately ^^**2,000 species of fish have been identified and some of these are used for commercial purposes. These marine products include bangus (milkfish), barile (tuna), banak (mullet), dalag (mudfish) and dilis (anchovy). Other marine products include suso (snails), alimango (crabs), hipon (shrimps), lobsters and clams as well as edible seaweeds, shells, corals and pearls. The landscape of the Philippines is shaped by its mountains and volcanoes. 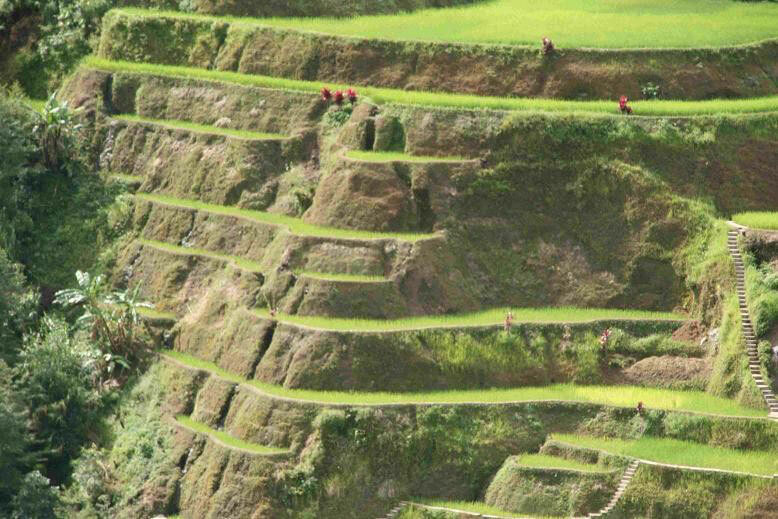 In Luzon, there are five major mountain ranges, namely: Caraballo, Cordillera, Sierra Madre, Zambales and Tagaytay. The Caraballo and Cordillera mountain ranges are found in the northern portion of Luzon while the Sierra Madre mountain range is located in the west-north portion of Luzon (Quezon, Aurora, Nueva Vizcaya, Cagayan provinces). The Zambales range is situated in the provinces of Zambales and Bataan while the Tagaytay range is situated in the southern Tagalog provinces of Cavite and Batangas. In the island of Mindanao, there are four major mountain ranges, namely: Surigao, Butuan, Central-Western and Western. The highest mountain, Mt Apo (9,692 feet), is located in the central-western range. Active volcanoes can be found in the various regions of the country. Among these volcanoes, Mt. Pinatubo, Taal volcano and Mt. Mayon have produced the most destructive eruptions. The eruption of Mt. Pinatubo in 1990 buried towns, killed dozens of people and rendered tens of thousands of people homeless. 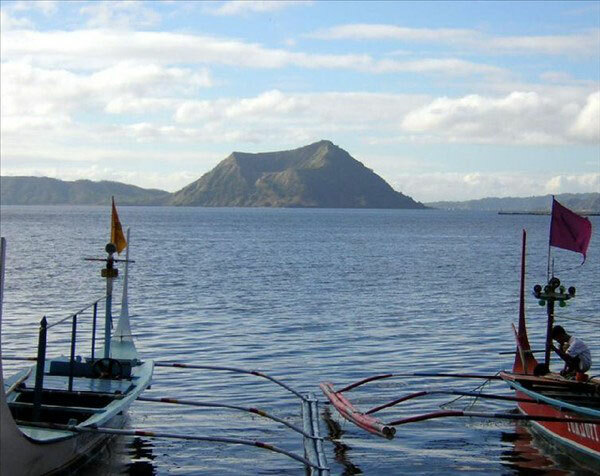 The eruption of Taal volcano in 1911 killed more than 1,300 persons and its eruption in 1966 buried six barrios and killed hundreds of people. On the other hand, these volcanoes have made the land very fertile, and the produce of the land, however inadequate during certain periods of time, has sustained the Filipino people throughout its history. The Philippines is rich in natural resources. Its fertile land produces a variety of crops such as coconut, copra, banana, pineapples, sugar, gum, resins and rubber. Some of these agricultural crops are raised for export. Rice, which is the staple food of Filipinos, is produced, largely, in the Central Plains of Luzon. Rice production often falls short of consumption requirement, and quite ironically, the Philippines is a rice importer. Plant and animal life is extremely diverse, and many plants and animals are endemic to the Philippines, which means they can be found only in this country. The Philippines holds the distinction as ^^**one of the seventeen countries whose combined plant and animal species account for **70-80% of the world's biological diversity. It has approximately **52,177 species of flora and fauna. From among these living things, an estimated **14,000 plant species and **1,130 animals with backbones (terrestrial vertebrates) are found in forest areas. However, the wildlife environment faces a number of problems and challenges. Some Philippine animals and plants are now listed in the CITES Appendix I as critically endangered species. The endangered Philippine species found in the list include, among others, the Calamian deer, giant scops owl, Koch's pitta, Mindoro imperial pigeon, Palawan peacock pheasant, Panay flying-fox, Philippine crocodile, Philippine eagle, Philippine tamaraw, Visayan warty pig and various types of orchids. Forest management is at a critical stage. Only remnants of the total forest area during the early 1900 remain and they are found in the mountain ranges. The survival of these plants and animals depends on the conservation of forest and wildlife environment. Animal Info: The Philippine eagle is one of the largest (if not the largest) eagles in the world. Location. The Philippines is an archipelago of 7,107 islands and islets and it is located in Southeast Asia. Naturally, the international boundaries of the Philippines are defined by the great bodies of waters surrounding it. On the east, it is bounded by the Philippine Sea, which forms part of the great Pacific Ocean; on the west and north, it is bounded by the South China Sea; and on the south, it is bounded by the Celebes Sea. Archipelago and Island Groups. The islands and islets of the Philippines are grouped into three major island groupings: Luzon, Visayas and Mindanao. Luzon is composed of islands and islets found in the northern part of the country. These include the Luzon mainland, Batanes Island, Babuyan Island, the Hundred Islands in Pangasinan province, Corregidor and all the islands and islets located north of the country. Luzon is the biggest island group and the Luzon mainland is the largest island. The Visayas is an island grouping located centrally. This island group makes up what is now called "Central Philippines." Among its major islands are Bohol, Cebu, Iloilo, Leyte, Negros and Samar. The third island group, Mindanao, consists of islands and islets found in the southern part of the country. These include the main island of Mindanao, which is the second largest island, Basilan and Tawi-Tawi and all the islands and islets found south of the country. Palawan, which was considered a part of the Mindanao group of islands in the past, is a province of Region IV-B (MIMAROPA), and this region consists of provinces from the Luzon group of islands (See “Regions, Provinces and Places of Interest”). 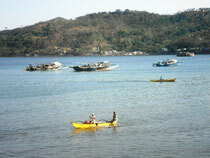 Palawan is often placed --- unofficially and informally --- in the Mindanao group of islands. Info - National Territory of the Philippines as Stated in the 1987 Philippine Constitution: Article I - National Territory: The national territory comprises the Philippine archipelago with all the islands and waters embraced therein, and all other territories over which the Philippines has sovereignty or jurisdiction, consisting of its terrestrial, fluvial, and aerial domains, including its territorial sea, the seabed, the subsoil, the insular shelves, and other submarine areas. The waters around, between, and connecting the islands of the archipelago, regardless of their breadth and dimensions, form part of the internal waters of the Philippines. Marine and Aquatic Resources. Since the Philippines is an archipelago, it possesses an irregular coastline, and this coastline is one of the longest coastlines in the world. The Philippines' coastline and marine environment offer a wide variety of habitats such as mangrove forests, coral reefs, sea grass beds, estuaries in coastal areas, and hydrothermal vents. These habitats are home to **"468 scleratine corals, 1,755 reef-associated fishes, 648 species of mollusks, 19 species of seagrass and 820 species of algae," which make the Philippines as one the richest coastal and marine environment in the world. Mangrove forest cover has nearly doubled in size since 1995. Prior to this period, mangrove forest cover underwent a drastic decline --- **from 450,000 hectares in 1918 to 120,000 hectares in 1995. The area size of coral reefs in the Philippines is estimated at **27,000 square kilometers. More than **70% of coral reefs cover are in poor or fair condition while only **5% are in excellent condition. These coral reefs are a source of livelihood. It is estimated that **62% of the population living along coastal areas are directly dependent on coral reef cover for their livelihood. In addition, the Philippines holds the distinction as the country with the **second highest seagrass diversity in the world. **Nineteen species are found here, and they constitute 55% of the total number of species in East Asia. Inland Waters. Inland waters such as lakes, rivers, ponds, streams, marshes and swamps are home to more than **316 fish species. Approximately **121 of these species are endemic while about **76 of these fishes are threatened species. Other animals that live in inland waters are waterbirds, amphibians and the critically endangered Philippine crocodile. There are more than 70 lakes in the Philippines and **10 of them are considered as the major lakes of the country in terms of area and their contribution to the culture and livelihood of the people living near these lakes. The largest of these lakes is Laguna de Bay with an area of 3,813.2 square kilometers, and it is a rich source of commercially valuable fishes such as bangus (milkfish), catfish, tilapia and biya. 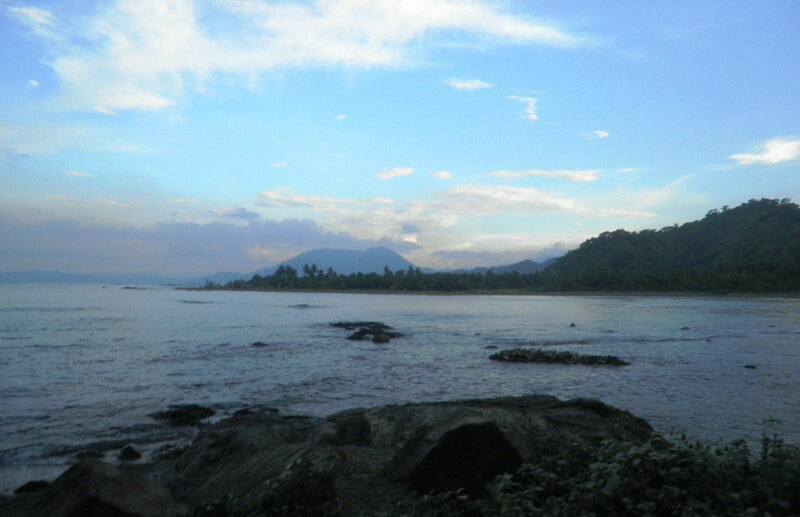 In this lake, too, can be found plants and animal species which are endemic to the country. Threats to the lake environment are the following: wastewater dumping, watershed habitat alteration, urbanization and introduction of exotic (alien) fishes. The second largest lake is Lake Lanao and it is a reservoir for the Agus hydroelectric power plants which supply more than half of the electric power of Mindanao. It is a major source of food and livelihood, it acts as a water transport highway and it serves as venue for cultural activities. Threats to Lake Lanao's environment include the following: pollution, soil erosion due to indiscriminate logging in the watershed, extensive use of land near the lake for farming and the environmental effects of the hydroelectric dam. The third largest lake is Taal Lake and it is where the Taal volcano, the smallest volcano in the world, is located. The place is a major tourist attraction but the fishing industry in the area is on the decline due to pollution of the lake environment and unregulated fish cage operations. ^^**Fish Species, **Fishermen Sector and **Fish Production. It is estimated that there are 3,212 fish species in the Philippines, and it is assumed that there are more fish species still to be identified or accounted. Of the 3,212 fish species already identified, 731 fish species are considered commercially important. In spite of this immense wealth, the incidence of poverty in the fishermen sector in the Philippines was the highest in year 2006. As of year 2008, total fish production amounted to 4,965.8 metric tons valued at Php (Philippine peso) 215,511.1 million. Fish production from aquaculture amounted to 2,407.7 metric tons valued at Php 81,518.4 million. Fish yield from municipal fishing was 1,332.9 metric tons valued at Php 70,967.0 million while fish production from commercial fishing was 1,225.2 metric tons valued at Php 63,025.7 million. Forest. Forest biodiversity is an integral part of Philippine biological diversity. The country is **one of the ^^**eighteen countries whose biodiversity account for 70-80 percent of the world's plant and animal species. It has approximately **52,177 species of flora and fauna. Most of the Philippine forest cover is located in the Sierra Madre mountain range of Luzon island, Palawan, Eastern Visayas and Mindanao. The country's forests are a home to some of the world's rare and most endangered species of plants and animals. Approximately **14,000 plant species are found in the forests and approximately 45 to 60 percent of these species are endemic, which means that they are found only in the Philippines. The country ranks fifth in the world in terms of number of plant species. On the other hand, there are a lot of **threatened plant species: 99 plants are identified as critically endangered species, 187 are classified as endangered, 176 are listed as vulnerable and 64 plants are considered as threatened species. The country's forests are a home to an estimated **1,130 terrestials vertebrates or animals with backbones. One hundred seventy-five (175) of these species are land animals, three hundred ninety-five (395) are land birds, two hundred fifty eight (258) are reptiles and one hundred one (101) are amphibians. Approximately 554 of these species are endemic. The Philippines ranks fourth in the world in terms of number of endemic birds present in the country (See "List of Some Endemic Birds of the Philippines.) On the other hand, there are a lot of threatened animal species: 24 animals are identified as critically endangered species, 28 are classified as endangered and 85 animals are listed as vulnerable. A lot of these Philippine animals are listed in CITES Appendix I, which is a list of the most endangered animals in the world. Calamian deer, giant scops owl, green turtle, hawksbill turtle, Mindoro imperial pigeon, Palawan pheasant peacock, Panay flying-fox, Peregrine falcon, Philippine cockatoo, Philippine crocodile, Philippine eagle and the Philippine tamaraw: these are some of the animals found in CITES Appendix I. The protection and conservation of the forest is important not only for the Philippines but also for our planet earth. In addition, the forest is a source of livelihood for millions of Filipinos. For some indigenous people, the forest is a major, inseparable component of their local culture, and the destruction of the forest may mean the disintegration of a main part of their culture and way of life. Republic Act 7586: Known as the National Integrated Protected Areas System (NIPAS) Act of 1992, the Act was a landmark piece of legislation aimed at protecting forest, wetland and marine areas. The Act's declared policy was **"to secure for the Filipino people of present and future generations the perpetual existence of all native plants and animals through the establishment of a comprehensive system of integrated protected areas within the classification of national park as provided for in the Constitution." It defined protected areas as **"portions of land and water set aside by reason of their unique physical and biological significance, managed to enhance biological diversity and protected against destructive human exploitation...." It also defined protected landscapes/seascapes as **"areas of national significance which are characterized by the harmonious interaction of man and land while providing opportunities for public enjoyment through recreation and tourism within the normal lifestyle and economic activity of these areas...."
Republic Act 8371: Known as the Indigenous People's Rights Act (IPRA) of 1997, the Act was a landmark piece of legislation which reaffirmed, legally, the rights of indigenous peoples to their ancestral land and to promote their culture and practice their way of life. These people have practiced multi-crop agriculture which has helped keep the country's biodiversity. The Act's policy was to **"recognize and promote all the rights of Indigenous Cultural Communities/Indigenous Peoples (ICCs/IPs)...within the framework of national unity and development...to their ancestral domains to ensure their economic, social and cultural well being...." The ICCs/IPs were granted the right to **"control, develop and protect their sciences, technologies and cultural manifestations, including human and other genetic resources, seeds, including derivatives of these resources, traditional medicines and health practices, vital medicinal plants, animals and minerals, indigenous knowledge systems and practices, knowledge of the properties of fauna and flora...." At the same time, the Act enumerated the ICCs/IPs' responsibilities and one of these was **"to preserve, restore, and maintain a balanced ecology in the ancestral domain by protecting the flora and fauna, watershed areas, and other reserves...."
Republic Act 8550: Known as the Philippine Fisheries Code of 1998, the Act provided for the protection and conservation of coastal and marine species and their habitats. The Act declared **"food security as the overriding consideration in the utilization, management, development, conservation and protection of fishery resources" as one of its policy. It made the **"conservation, protection and sustained management of the country's fishery and aquatic resources" as one of its objectives. It banned the introduction of foreign aquatic species in Philippine waters and it provided for the "conservation and rehabilitation" of rare, threatened and endangered species. Republic Act 9147: Known as the Wildlife Resources Conservation and Protection Act of 2001, the Act provided for the conservation and protection of wildlife species and their habitats. Stated in the Act were **four objectives: "(a) to conserve and protect wildlife species and their habitats (and) to promote ecological balance and enhance biological diversity; (b) to regulate the collection and trade of wildlife; (c) to pursue, with due regard to the national interest, the Philippine commitment to international conventions, protection of wildlife and their habitats; and (d) to initiate or support scientific studies on the conservation of biological diversity." Clearly, the protection and conservation of the natural environment and natural resources lead only to so much benefits for the people residing within and around the area as well as for people living elsewhere. Food security is achieved and can be enhanced. Water remains pure and plants are preserved, some of which have medical value. Animals live the kind of life they have led for thousands of years and ecological balance is maintained. Community environment are kept clean and green, and life becomes less stressful. Parks and sanctuaries are established and eco-tourism flourishes. The fishermen sector had the highest poverty incidence (49.9%) in year 2006. It also posted the largest deterioration in poverty incidence between 2003 and 2006. 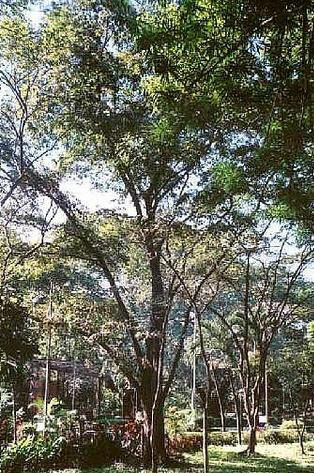 The narra tree is the national tree of the Philippines. It is a big and sturdy tree and the timber derived from the narra tree is often used as a material for housing and building construction as well as for making furniture and wooden handicrafts. It is quite popular among Filipinos but it is quite expensive to buy a thing made of narra. This is Uncle Alex and Gabby's website at Jimdo.com and this is the website for the Philippines and then some. For BEST VIEWING, use "zoom 100% or 110%" for computers, and use cellphones in horizontal position.